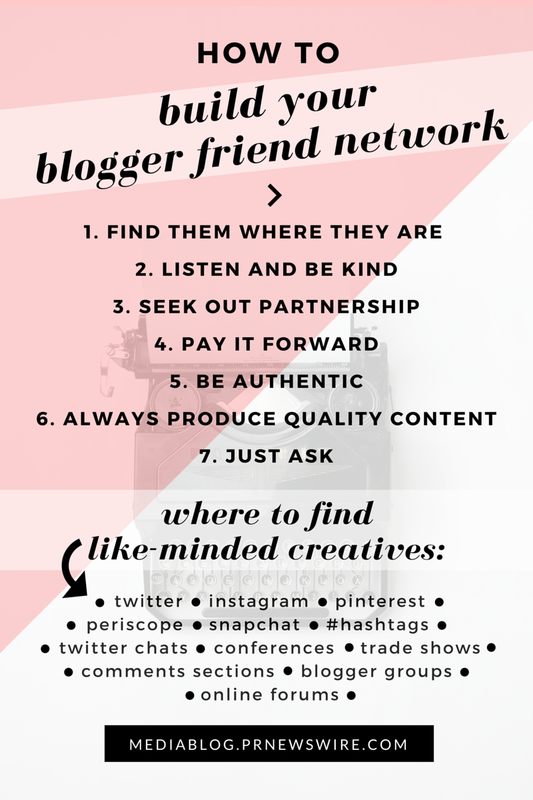 In the first of this two-part series, we talked about The Power of the Blogger Friend Network. There, eight bloggers shared with us the most crucial reasons for finding a community of like-minded creatives for the success of your blog. We learned that, when carefully cultivated, blogger friends can develop deep bonds, inspire new ideas, and even help form the building blocks of a business. But how does a blogger go from a one-man show to having an extensive online network of advisers and friends? 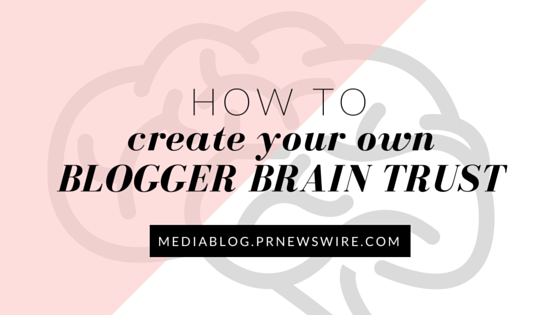 I tapped the same group of bloggers to talk about how they built their ever-growing networks and asked them to share tips and best practices. Here’s what they had to say. 7. JUST ASK: What do you have to lose? Bloggers: Need help finding story ideas or connecting with expert sources? Let us know. PR Newswire for Journalists is your one-stop shop for newsgathering with access to custom newsfeeds, ProfNet expert queries and our multimedia gallery. Best of all, it’s free. Sign up at prnmedia.prnewswire.com or contact us to learn more. Anna Jasinski is manager of audience relations at PR Newswire. Follow her on Twitter at @annamjasinski for expert tips on writing and social media. You can also catch her tweeting the latest news in journalism and blogging on @BeyondBylines. Thanks so much for the mentions and inclusion for this great article! Thanks Chelsea! We appreciate you taking the time to chat and love your great advice!